Key Difference: Steel is an alloy, which means that it is created by mixing various different elements together. The primarily base element in steel is iron. Stainless Steel is a special type of steel. It has all the properties of steel. However, it is also non-corrosive, which basically means that it cannot rust. Steel is a popular material for use, primarily because it is cheap and easily available. Also, because it tends to have a very high tensile strength making it very versatile in its use. Hence, steel is often used for construction as well as in variety of other applications. 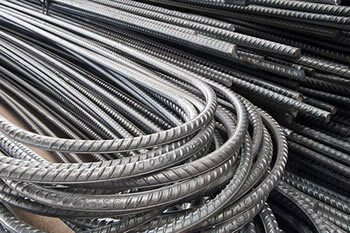 Steel is an alloy, which means that it is created by mixing various different elements together. The primarily base element in steel is iron. Many different elements can be added, however, the second most common element is carbon, which can contribute up to 2.1% of the alloy’s weight. Each manufacturer can have its own recipe for making steel, however, in order to be considered steel, the alloy must meet certain requirements, such as the base element is iron, it contains carbon, and has a very high tensile strength. Modifying the ingredients in the steel alloy can affect the hardness, ductility, and tensile strength of the steel. Steel is widely used in constructions, especially as a major component in buildings, infrastructure, tools, ships, automobiles, machines, appliances, and weapons. Stainless Steel is a special type of steel. It has all the properties of steel. However, it is also non-corrosive, which basically means that it cannot rust. This is achieved by adding at least 10.5% or more chromium in the steel alloy. Chromium has a high resistance to corrosion, due to the oxide film that it results in. This naturally occurring chromium-rich oxide film ends up coating the surface of the steel, and when the steel is damaged, which exposes the metal to oxygen, this film tends to repair itself and cover the exposes part, thus saving it from oxidation. It should be noted that despite of its name, stainless steel is not stain proof. It is highly resistant to staining, corroding, or rusting, however it is not impervious to it, and if not properly maintained, it may stain, corrode, or rust. 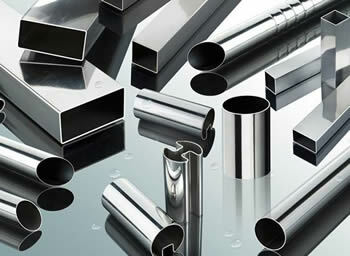 Stainless steel has a wide variety of implications, such as in construction, household items, etc. It is commonly used for cookware and cutlery, such as knives, forks, and spoons. It is also commonly used in household hardware, surgical instruments, major appliances, industrial equipment as well as an automotive and aerospace structural alloy and construction material in large buildings.